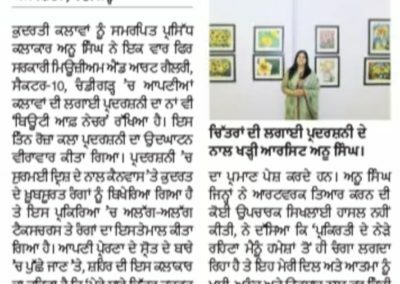 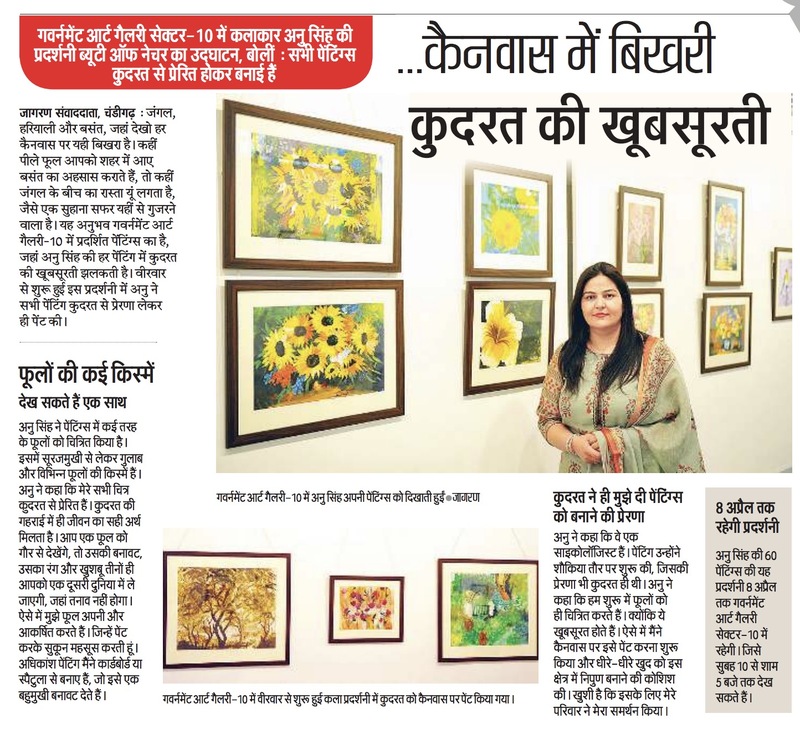 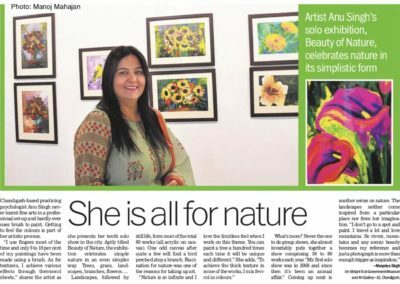 Chandigarh, April 5, 2018: Eminent artist Anu Singh once again lit up the Government Museum & Art Gallery, Sector 10, Chandigarh with the 10th edition of her artwork: ‘Beauty of Nature’. 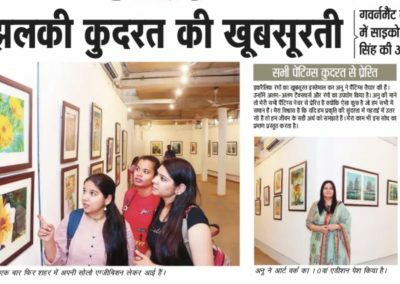 The three-day exhibition was inaugurated here today. 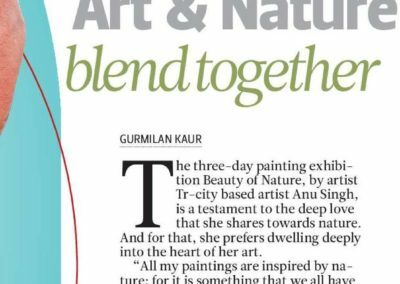 The picturesque landscapes displayed in the exhibition seek to translate on to the canvas the “beautiful shades of nature” through an array of inimitable textures and colours. 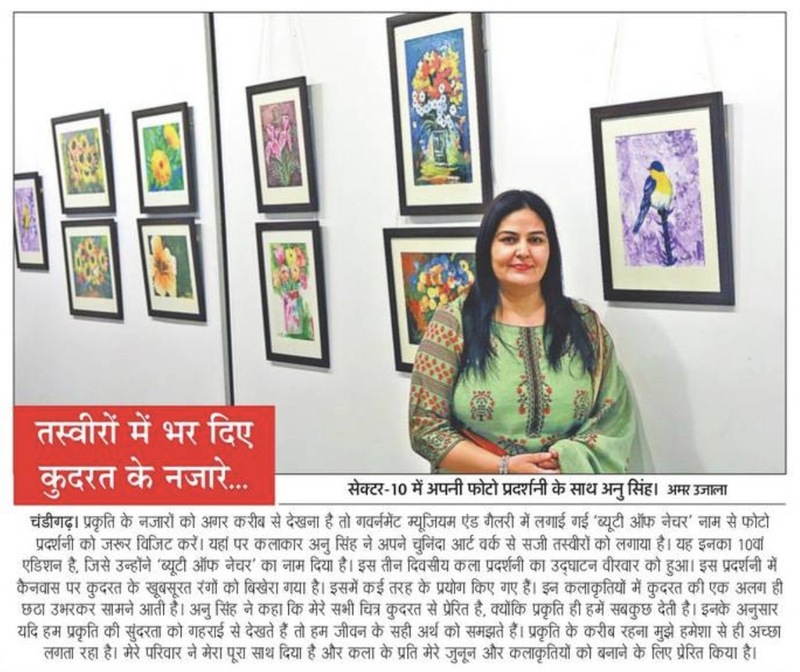 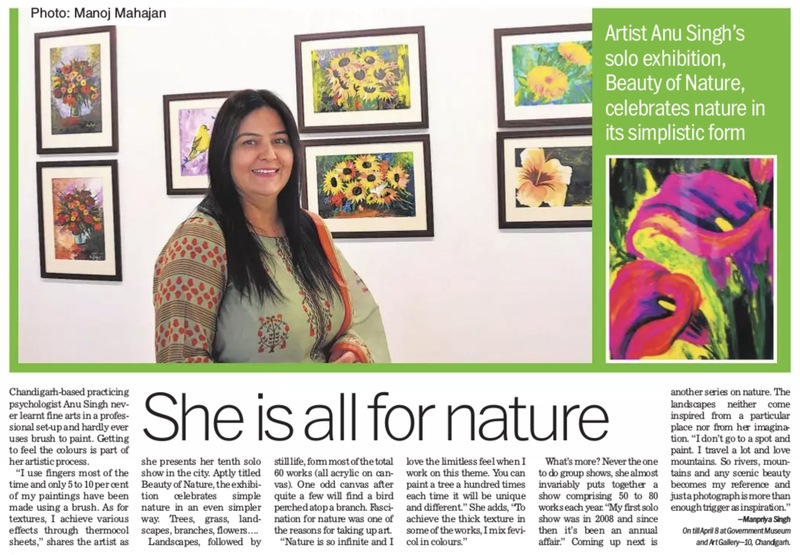 “Living closely to the nature always fills my heart & soul with joy & ecstasy; which ultimately motivates me to put those vibrant colors on my palette,” added Anu Singh, who never took any formal training in learning the artwork. 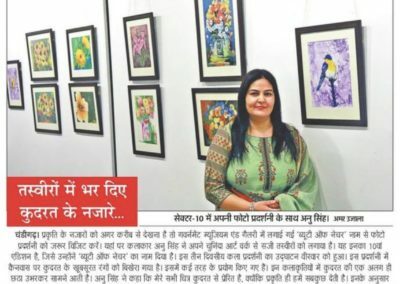 “It is the unwavering support from my family and my passion & zeal to create art, which persuades my imagination to create something new every time I play with colours,” she said. 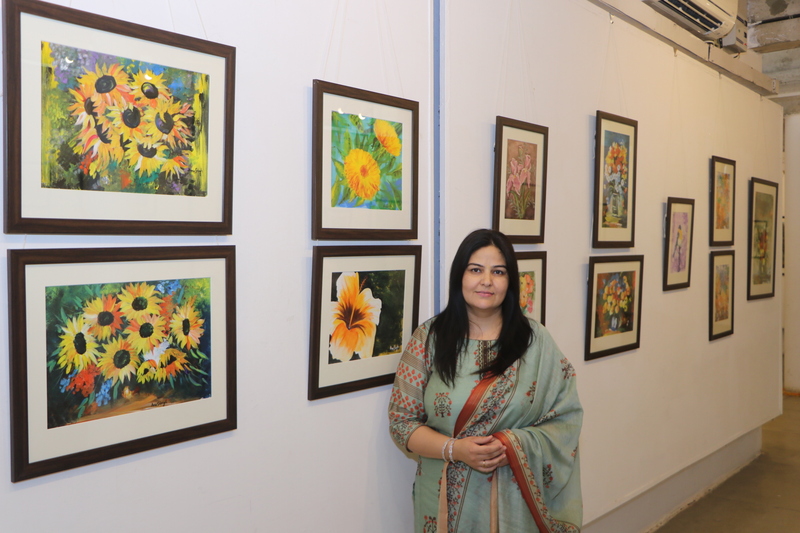 A psychologist counselor by profession, Anu Singh is affiliated with American Psychology Association. 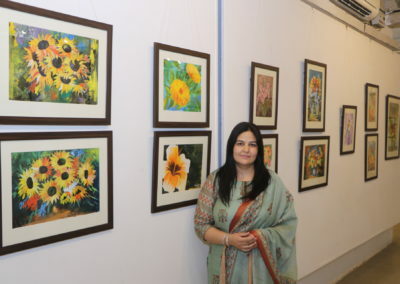 She seeks solace in the manifestations of nature, which she translates into her paintings with the medium of gouache. 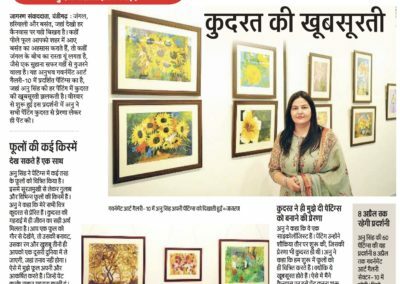 Most of the paintings displayed in the exhibition have been made with cardboard or spatula, which gives it a versatile texture. 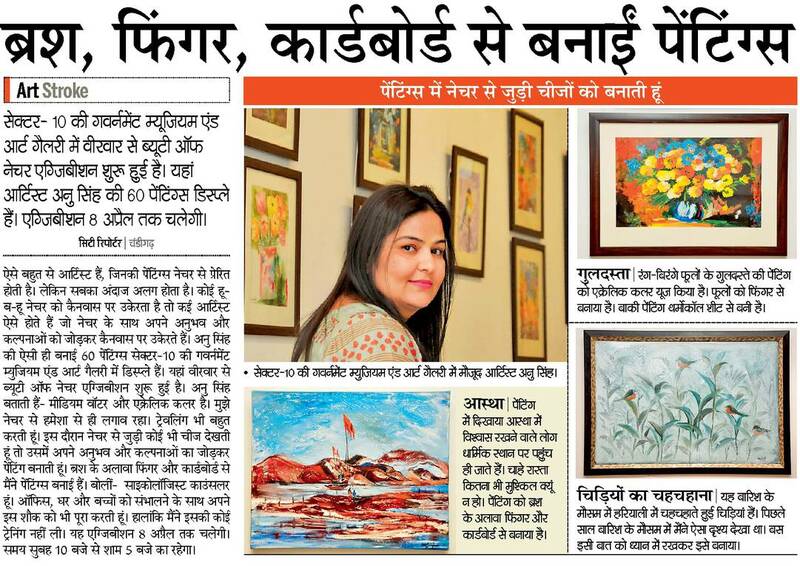 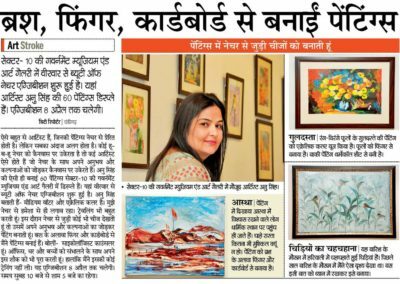 “The paintings displayed in the exhibition are characterized by the dramatic contrasts of nature, whose versatile texture seems to emerge spontaneously while I am painting on the canvas,” said Anu who seeks to surpass the world of appearances to express & evoke emotions in the mind of the viewer. 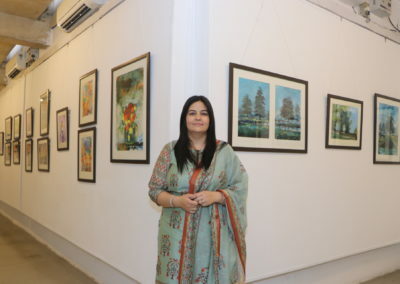 Over the last many years, Anu Singh has a track-record of displaying an array of art exhibitions across the globe, including in cities like Shimla, Delhi, Mumbai, Luino, Varize, Italy and the Martha Jackson Gallery, New York. 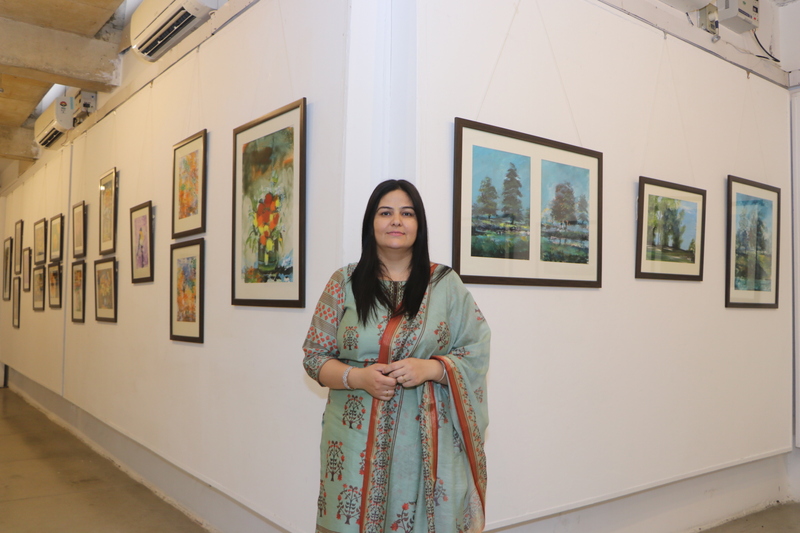 Her exhibition ‘Beauty of Nature’ brought a rare moment of delight & contentment to the art and nature lovers in the City Beautiful. 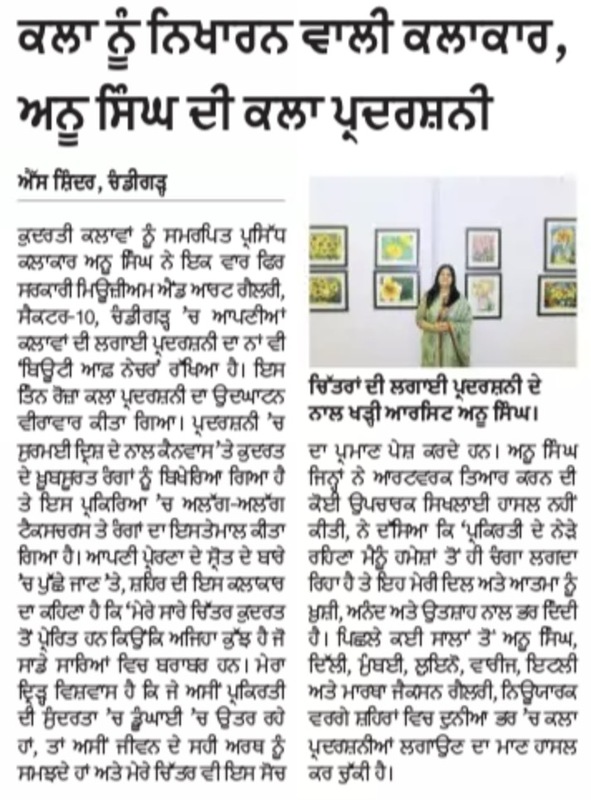 The exhibition will be on view till April 8th at the Government Museum and Art Gallery from 10:00 am to 5:00 pm.